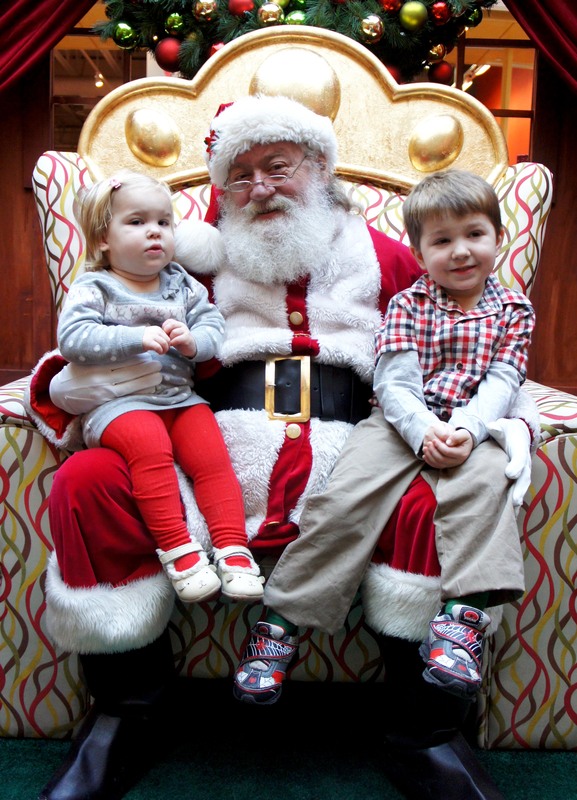 This week I took the kids to have our annual visit and photo’s with Santa. Keira wasn’t in much of a smiling mood, but I did snap some good pictures nonetheless. At least she wasn’t screaming her head off, right? I keep seeing Santa pictures popping up on my facebook feed with fake-bearded Santa’s and I must say that I love how authentic looking this Santa is! He was also warm and friendly with the kids and patient while I snapped a hundred photos. This is our second year visiting this Mall Santa and I love that they allow you to take your own photos. For Camden’s first Christmas, I paid $15 for a single printed photo and was severely disappointed with it. 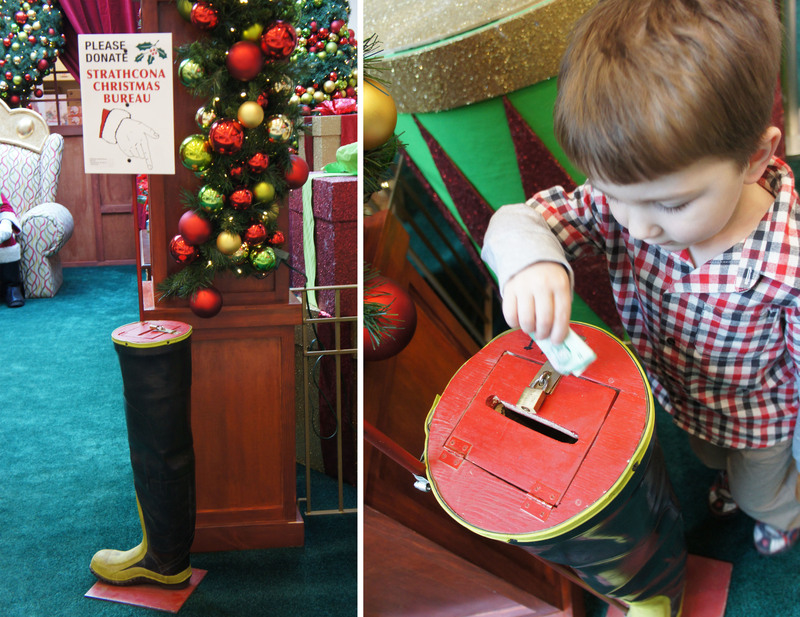 They do ask for charitable donations to the Christmas Bureau, however, so I was happy to give my $20. In the car on the way to see Santa, I asked my 3 year old what he was going to tell Santa he wanted for Christmas. His reply was “Maybe just everything”. I guess that would about cover it! Luckily he was a little less greedy when speaking to Santa and asked for “1 dino bot and a big Optimus Prime vehicle”.